Tip: Upsell. Add an option to buy merch, books, any extra thing you will be offering at your event. Making it easier for your guests to buy these extras will increase your overall sales. Tip: Don't have a good picture to illustrate your event? There are many free stock photo websites that can help you find a pretty image. Check Unsplash, for example. Tip: Don't want people to search and find your event? Un-tick the "Public" box and keep your event private. Tip: Don't know what a Ticket Widget is? 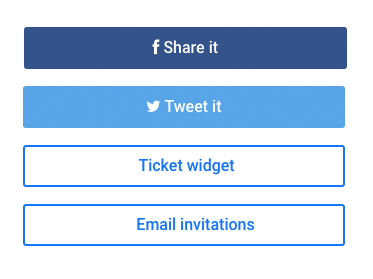 Read our step-by-step guide to help you with embedding a Billetto Ticket Widget on your website. Well done, you should be all set with selling your tickets. If you need help with managing and planning your event, check the Billetto Event Management Guide and the Event Planning Guide for more tips and tricks for running successful events.